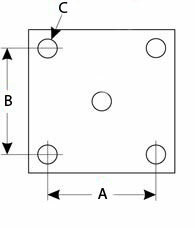 B - Spring Width: 1-3/4" to 2"
C - U-Bolt Diameter: 9/16"
U-Bolt tie plates for trailers come in many sizes with a varity of finishes. Spring Works stocks trailer u-bolt tie plates for utility, boat, camper, and all other trailers. 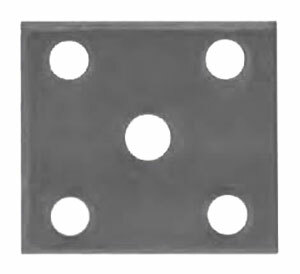 This 4203-3G u-bolt tie plate fits 2" square axles with 1-3/4" to 2" wide springs.